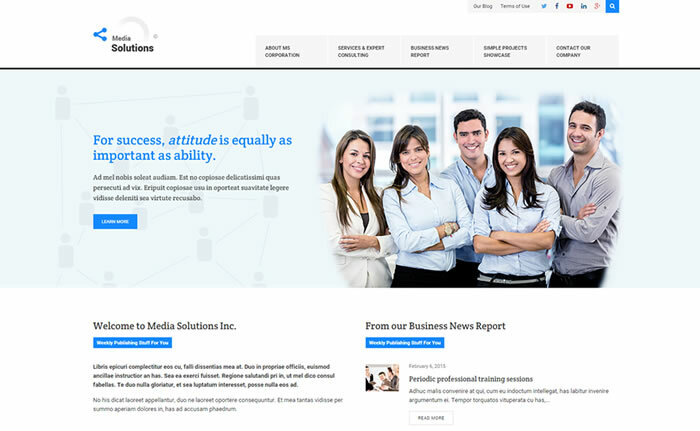 Media solutions is clean style business centric corporate / business WordPress theme to be used with business, corporate, portfolio and presentation websites. Its admin panel powered through redux, a simple truly extensible and fully responsive options framework and bundled with slider revolution ($18) premium WordPress slider plugin to build highly customizable responsive sliders with stunning transitions and effects. Built using bootstrap 3 frontend framework and included with 6 beautiful custom skins to suits your brand identity of your business. Media solutions corporate / business WordPress theme integrated with famous Magnific Popup responsive lightbox plugin to handle portfolio images of your website. Media solutions has various blog templates and included with different types isotope powered portfolio templates to build perfect corporate / business / portfolio websites. 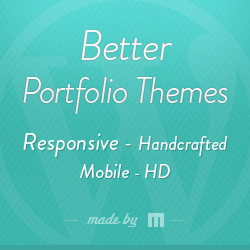 Its translation ready, custom gravator enabled WordPress theme supports most of google web fonts and font awesome icons.